A Passivhaus is a building in which high levels of indoor comfort can be achieved all year round using very little energy for heating (or cooling) – about 80% less compared to standard UK practice. A conventional central heating system is no longer required. The term Passivhaus also refers to the internationally recognised gold standard for low energy buildings which must be used for the design and construction of a Passivhaus building. It is a tried and tested methodology and quality assurance process which delivers buildings that perform in accordance with the design intent. The standard also has an important role to play in helping governments meet ambitious carbon reduction targets. A Passivhaus building which successfully passes a rigorous independent quality assurance procedure can proudly claim to be a “quality approved” or “certified” passive house. 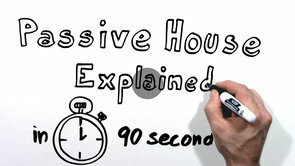 The Passivhaus Trust, the independent UK Passive House organisation, provides a good summary. 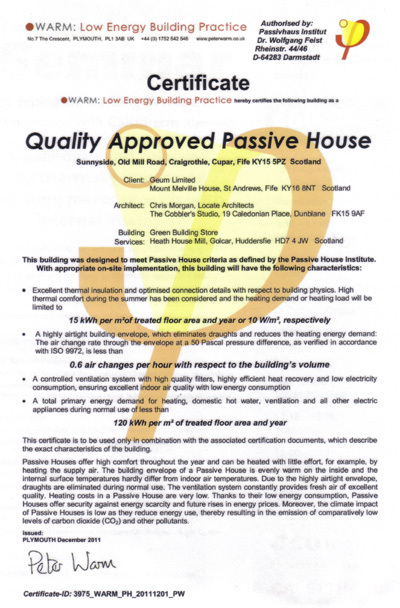 Passivhaus Associates is a trading name of Drummond Projects Limited whose registered office is at Mount Melville House, Mount Melville, St Andrews, Fife, Scotland, KY16 8NT. Registered in Scotland No SC187534. All rights reserved.